Hey everybody. I keep getting emailed ice cream presses releases and haven't posted a single one, so let's get caught up. Also, I keep getting these free coupons for Halo Top "ice cream". The first was from Price Chopper and now I got another from Stop & Shop (Giant). 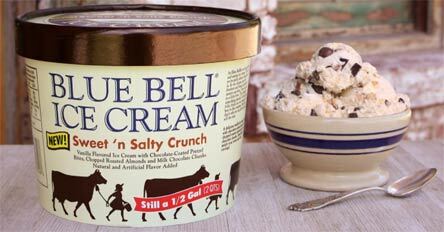 News: Blue Bell Sweet n Salty Crunch was announced this week and it's already being spotted on shelves. It's "vanilla ice cream loaded with chocolate-coated pretzel bites, chopped roasted almonds and milk chocolate chunks". I hope those pretzel chunks stay crunchy! News: Haagen-Dazs has a non-dairy line up out now. There are four flavors: Chocolate Salted Fudge Truffle, Peanut Butter Chocolate Fudge, Mocha Chocolate Cookie, and Coconut Caramel. Like H-D sorbet pints, the lids will say "non-dairy". I'm not 100% sure how it works, but basically the main flavor component becomes what binds these together. So that would be the cocoa, the coconut, or the peanut holding each flavor in a solid form. In other words, they seem to be more sorbet than anything, but they aren't calling it that. I'd love to get some back story on these. Are they basically just trying to squeeze in to the "non-dairy" space as opposed to the sorbet space? Do we really need to get that semantically challenged? Yes I'm ranting a little. News? I never got to try Made with Twix from Baskin-Robbins last month. It's not look so good for "all about Oreo" either at the moment. Today would have been a "good day" to go (in theory) as they were handing out samples of Polar Pizza. I quote good day because for the last several weeks they have been working on the roads between me and my local Baskin-Robbins. 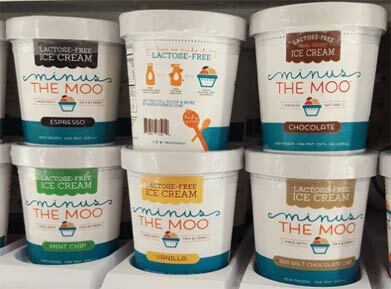 News: local and new, the lactose-free company Minus the Moo will have a pop up shop at the Boston Public Market from July 18th to July 30th. They will have "5 classic flavors plus 4 surprise flavors" for complimentary sampling. 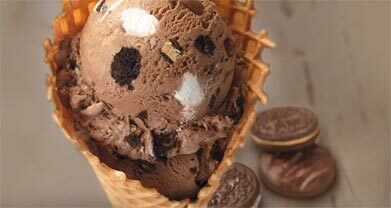 News: Isaly's ice cream is back! I had never heard of them because I didn't grow up in their area and they have been gone for awhile. Since I had nothing to lose, I asked if they would send over samples... and they agreed! Look for that review during the last week of July. That's it for now. I hate to admit this, but several companies have tried to sponsor posts during July but things have been kind of messy to schedule most of it. I apologize to them and to you for any missed opportunities. Have a good weekend everyone! Looks like that says Isaly's, not Islay's. Since they were nice enough to send you samples, might want to correct the spelling. I tried the Hagaan Dazs salted chocolate fudge truffle, and it is surprisingly good for non-dairy. It's good enough I'd be willing to try other flavors ... and I wish they made that flavor as an ice cream.